I AM Sanat Kumara. And I Am overjoyed to be able to be with you here at this time in these moments. For long ago I shared with my brethren that I would be the one that would take this planet, these people, all of you through this evolution; through the various calamities, catastrophes, travails that you have all traveled through; that you have journeyed through. And I made a promise long ago that I would see this through to the end, to the end of this age and into the beginning of the next. 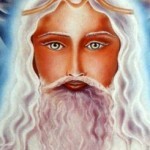 And I have fulfilled my promise just as my dear brother Sananda has as well and many others. But in my promise I said I would be the last. I would see this through and be the last one to leave to move on. And I have fulfilled my promise for I Am the last one to be here with you as these changes continue to move along. And I Am here to tell you now that as my promise is coming near to fulfillment for I will then be able to leave and to go home myself. Go home to my dear one, my Venus who has waited for me for a very long time. Just as you, each one have those that are waiting for you that you left long ago. And if you feel a tear coming to your eye it is because you are now remembering. You are remembering those times long ago. And as you remember those times, those moments, those times of intense love for your loved ones, and those times now it becomes more and more difficult for you to be able to be here and withstand the energies as they continue to shift and change. And as many of you have been acclimating to these energies, preparing for them, some of you are yet having difficulties with this. For these energies are powerful. But you are also powerful and you must all remember this. You are powerful beyond measure. And just as I made the promise, so too did you all make the promise that you would be here until the end and into the beginning of the next Age. And that next Age is nearly upon us all. You have heard from our dear Ashtar that all is in readiness for those in the ships, those you call the Galactics are there ready to move in a moment’s notice. And those of the Ascended Masters are all ready and waiting always there to give you that nudge, that push forward. But a gentle push. Never harsh. Always gentle, loving, caring. And all of you now as you are moving into this new Age — and fast moving into this new Age I will add — you are preparing as well, many of you, to go home. Many of you to remember and then be ready to let go and forget. Forget the old travails. Forget the negative parts of your journey and remember the positives. Remember all that has been good and much of your journey has been good. So I leave you now with this understanding that even though you find yourselves now in some difficulties, some negative conditions where the energies are too powerful at times, know that this is just for a moment yet. For the whispers from all of us continue to come in, continue to invite you to move forward. Always to move forward. To trudge forward to reach that finish line that seems to be pulling away from you as you get nearer to it. But yet it is not. It is only in your understanding and the programming that you have come to understand that that finish line keeps eluding you. But I tell you now you have all reached that finish line just as Sananda has been saying. It is right there in front of you and it is time now to cross it. To cross it and forget the past. That does not mean forget your loved ones but forget the past, the negativity of the past. For it will only continue to hold onto if you let it. Release now. Release! Let go! Go with the flow. And let the flow take you to your promised land. I AM Sanat Kumara and I will be with you again at what you call your next Advance. And I will be there as the Great Initiator, the One Initiator, to initiate all of you as a group and some of you even as individuals. All of my peace and love be with all of you. I AM the Beginning and the End – the Alpha and the Omega, just as you all are.